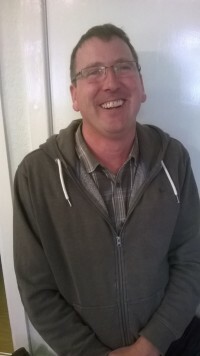 I qualified in Gent, Belgium in 1989, came to Northern Ireland for what I had planned was two years and nearly thirty years later I am still here! 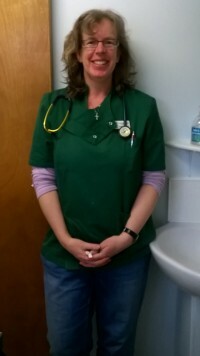 I started off as a mixed animal vet but have been working with only small animals for the last twenty years. 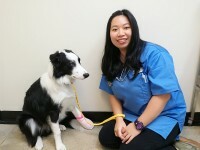 I have developed special interests in soft tissue surgery and diabetes. I became principal of the practice in 2000 and am proud to be working with such an excellent team of vets, nurses and admin staff. I am married to Michael and we have three teenage sons. In my spare time I enjoy walking my dog Charlie- the North Coast and the Mourne Mountains are my favorite places. I also spend many hours supporting my sons while they play sport. Hi, I'm Johnny. I've been involved with Gortlands team for 13 years. I've enjoyed seeing the practice develop over time with, for example, new technologies such as ultrasound and x-ray and I love working alongside talented and motivated people. Outside of work I have a lovely wife and two great kids. Our pet dog is Angus, a two year old flat coated retriever and we also have a guinea pig called Pom-Pom. I enjoy being involved with a local church and play tennis to unwind. After some years working predominantly in Scotland, I returned home to Belfast in 2011. Bringing with me our quirky labrador-with-stumpy-legs that my wife had rescued a number of years previously he's done quite some miles over the years and maintains a truly remarkable sense of direction (and passion for sheep) into his latter years. I grew up in a home where humans were very much in the minority and semi-feral cats ruled, and have also enjoyed the company of rescue battery chickens in the past. 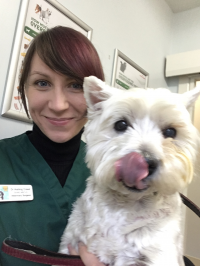 I enjoy all aspects of work as a vet, but nothing beats the cute and quirky pets I'm privileged to meet and care for every day! 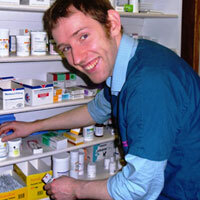 I qualified from Glasgow Veterinary School in 1992 and worked in small animal practice in England first before moving to Northern Ireland in 1997. 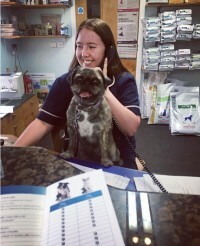 I have been working at Gortlands since 2010 and enjoy the variety of cases we see every day and working with our pet owners to ensure that their pets get great care from puppy or kittenhood right through to old age. 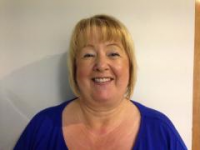 In 2014 I took on the role of 'Practice Co-ordinator' which involves things such as staff training, assisting students with placements and health and safety issues. I am married and have three grown up children and a Border Terrier and two cats. 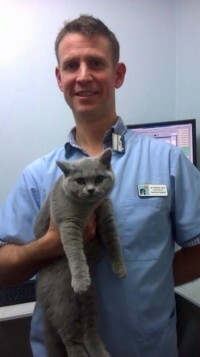 I qualified as a Doctor of Veterinary Medicine from Ghent Veterinary College in 1991. My pets are a friendly bunch of three dogs and two cats. They all get along well together even though four of them were rescued at different stages of their lives. I am passionate about small animals as they fulfil a very important role in any person's life, regardless of the owners age. And to be able to be a part of these lives is a blessing. 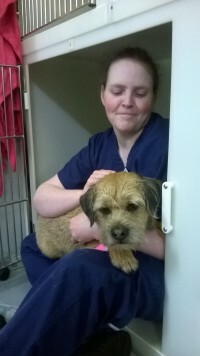 Kathy started at Gortlands in September 2013 as a placement student from college. 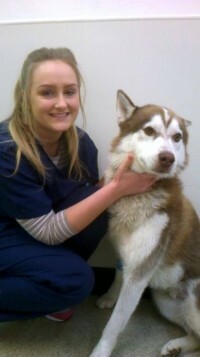 She now works here full time and has qualified as a Veterinary Nurse after completing her training at Greenmount college. 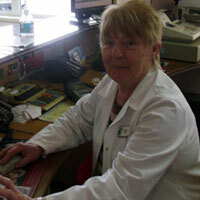 Kathy owns two golden retrievers called Ellie and Daisy which she enjoys taking for long walks with her family. 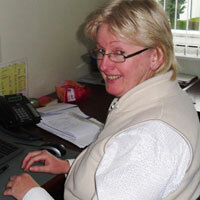 I joined the Gortlands team in 2008 after completing a National Diploma in animal management. 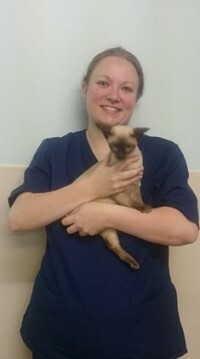 Whilst working in Gortlands I have completed an Animal Nursing Assistant certificate and more recently a qualification in monitoring anaesthesia in small animals. I come from a farming background and have always had dogs or cats (usually both) in my life, currently I have two rescue Jack Russell Terriers -Nessy and Milly- who both have allergies and are on life long medication to keep it under control. I first came to Gortlands on work experience from school when I was 16 and I am still here 24 years later! 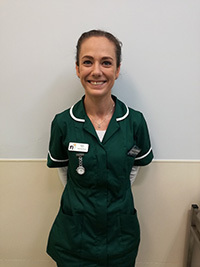 I am a nursing assistant but am also responsible for many other aspects of the clinic such as organising rotas, stock control and contributing to the smooth running of the practice from day to day. In my spare time I enjoy baking - often bringing some into work for the staff to share . I have a Bernese Mountain dog called Harry. I have worked at Gortlands for many years in fact Mr. Morrow was still practice principal when I arrived! 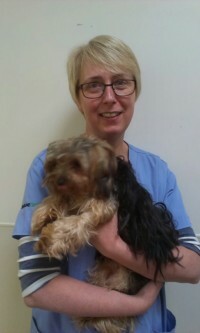 I enjoy many aspects of the job, and especially the variety of animals and meeting all their owners. I have special responsibility for our in-house laboratory and making sure that it is all running smoothly. I own a dog called Marley and a cat called Norman. Norman was a sick kitten that I nursed back to health, putting my nursing training to good use. 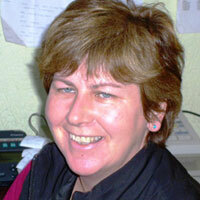 My name is Leigh and I started working at Gortlands in 2010. 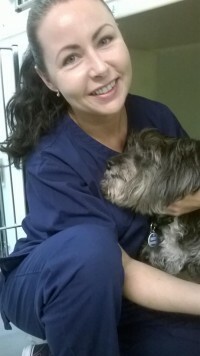 I really enjoy my work here, in particular running the weight clinic and helping pets to lose weight and advising owners on nutrition.Recently I have completed a certificate in monitoring anaesthesia that I find very useful in my daily work and I hope to complete more certificates in the future. 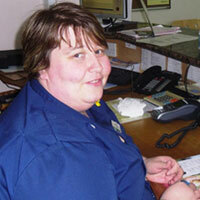 My name is Aimee and I work at Gortlands as a Nursing Assistant. I have worked here since December 2015 and enjoy my time here very much. 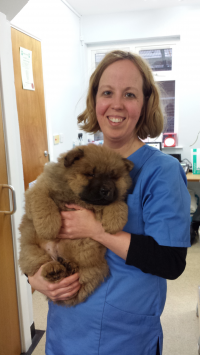 I am one of the weight clinic nurses who review pets that are a bit overweight and give advice as to what we can do to help. 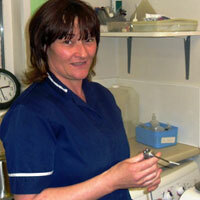 I am also doing an anaesthesia course at the moment which will help gain my knowledge with monitoring anaesthetics. I have always loved animals and always wanted to work with animals ever since I knew how to talk. I have one dog called Scamp who is a West Highland Terrier, I love going for long muddy walks with him and going to the beach. My favourite breed of dog is a German Shepherd. I've had German Shepherds throughout my life as I was growing up, I love their loyalty and friendship. I spend most of my time with my family, looking after my niece and nephew and spending time with my friends. I came to work at Gortlands in August 2016 after having spent most of my working life in an office environment. 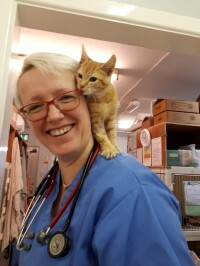 It was always my dream to work with animals and it is a pleasure to finally be doing so, and with such a friendly and dedicated team of vets and nurses. I love all small animals, but in particular cats as I have grown up with them from a very young age and at present am the shared owner of two. I love the diversity of the job and the fact that no two days are the same and I love getting to know our fluffy regulars and their owners. My association with the vets began quite a while ago when I brought a pet hamster in to see Mr Browne. Now, many pets later and after a change of name and location , I work here at Gortlands as a receptionist on Friday mornings. I look forward to coming to work as they are a great group of people and there is always a lot going on. I now have four pets at home; Freddie a rehomed lurcher, Odin a flat coated retriever pup and two cats, Monty and Pickle. I have worked at Gortlands for two years and I love every minute of it. I enjoy meeting all the clients and their animals. I have a ginger kitten called Barney. I love spending time with my family. My husband Davy and I have three children who have all left home now and I have a little six month old granddaughter called Emily.